by Addie Sorbo, Strawberry Fields Design Inc. 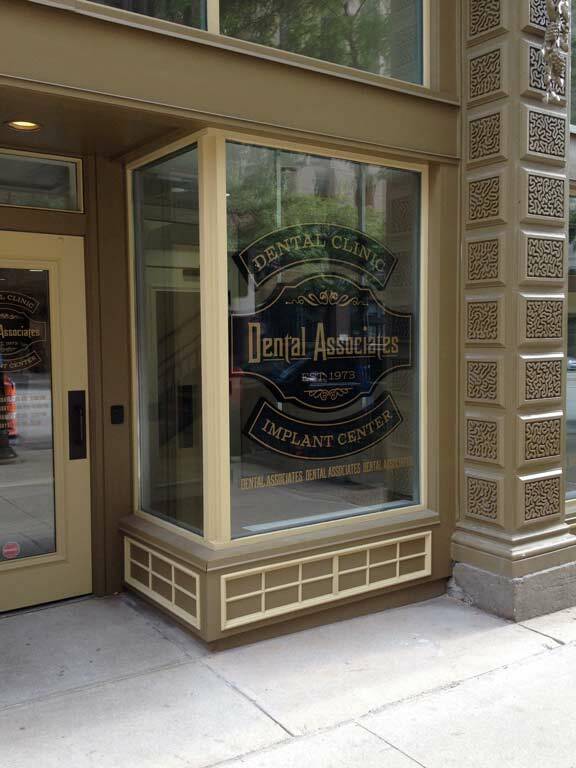 Dental Associates recently unveiled their brand new clinic and corporate office, located in the historic Iron Block Building, downtown Milwaukee. 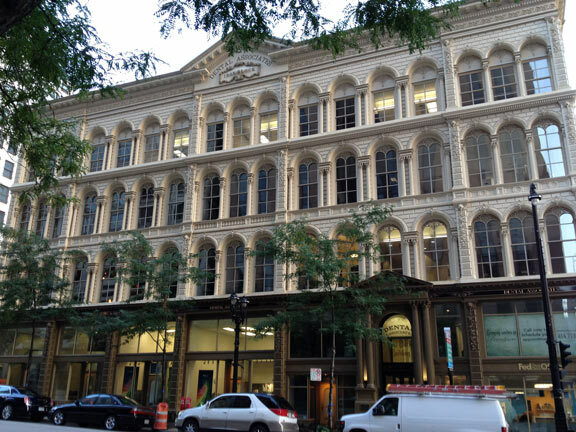 Having seen the building during its renovation – walking through the dust and rubble, then out on the scaffolding five stories up – I’d have to say that this boutique clinic is nothing shy of magnificent. 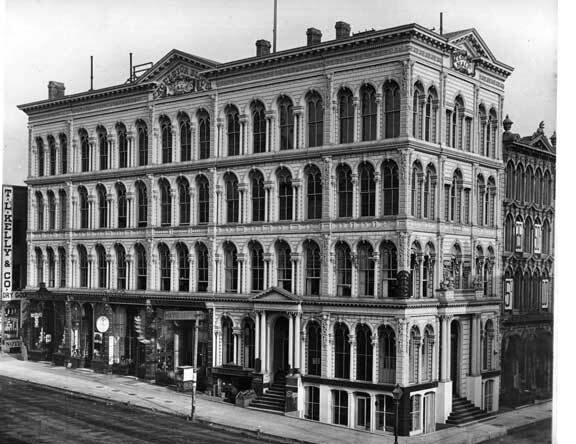 The Iron Block Building was built in 1860, when Abraham Lincoln was president. 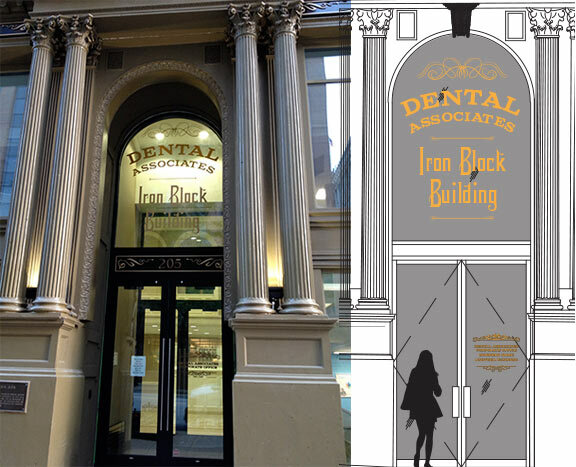 We partnered with Dental Associates to help develop their visual brand for their Iron Block clinic. This included designing their logo, banners, marketing collateral, and exterior signage. 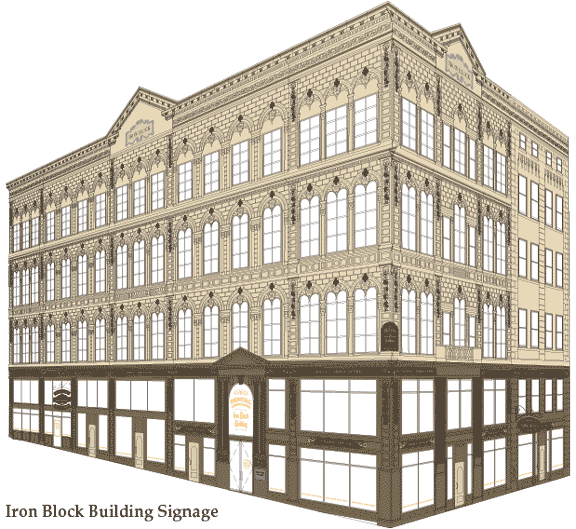 The design process for the exterior signage began in March 2013. The first task was to do research. 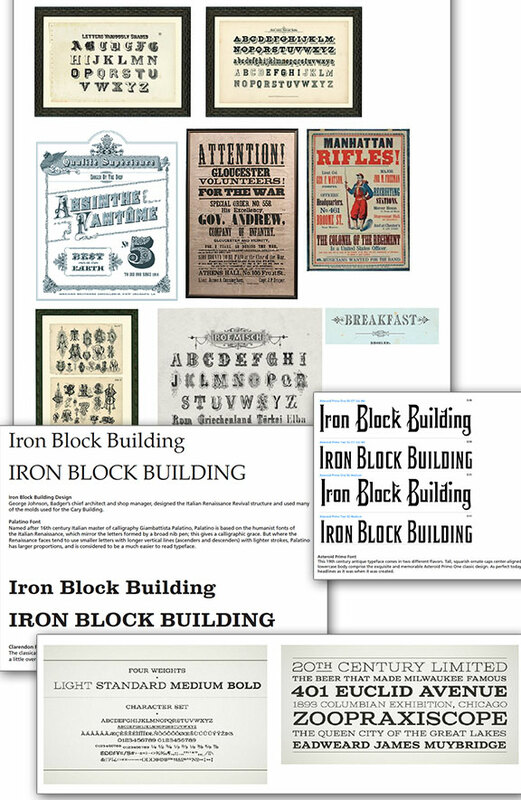 We looked at old photographs of the building, searched for typefaces from the early to mid-1800s and the Italian Renaissance, researched other iron block buildings in the United States, and searched for inspiration online. 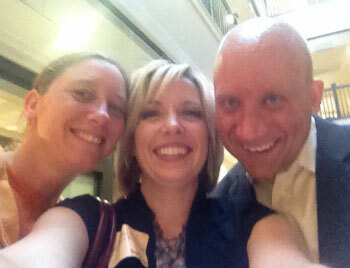 “Touring” NYC – searching for inspiration. 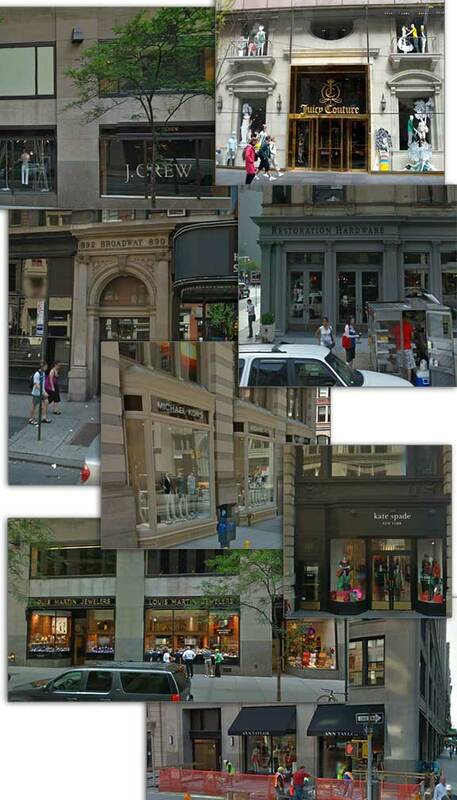 This research was compiled for our first meeting with the architect, marketing manager, and signage company. 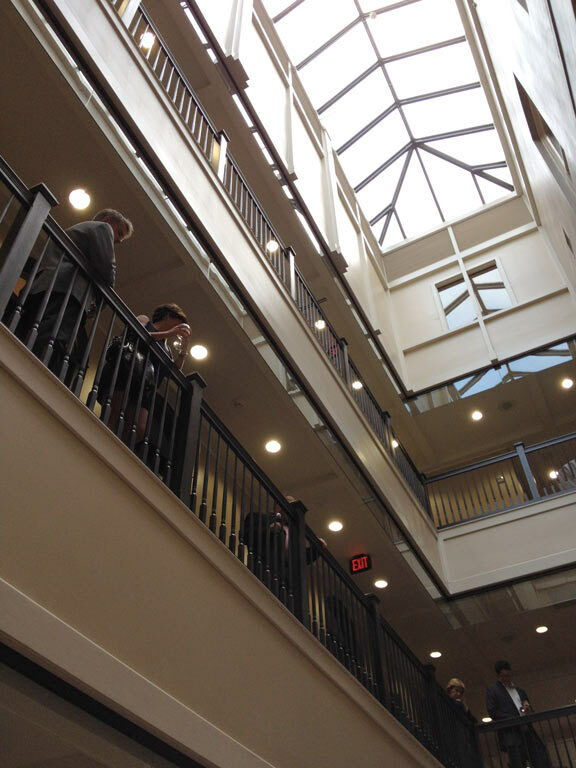 We all toured the Iron Block building in the midst of renovation, and received a glimpse of the grand vision for its completion. 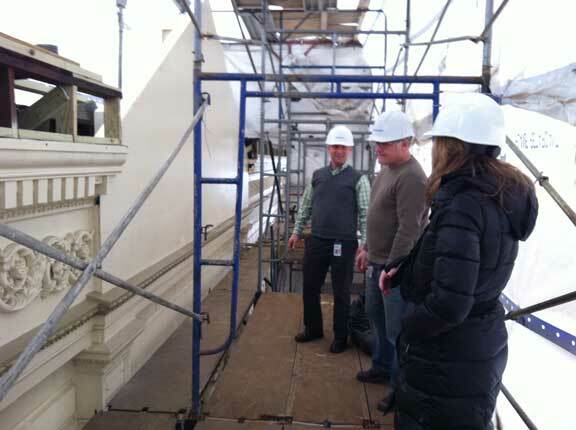 Getting an up-close view of the building exterior during the renovation. 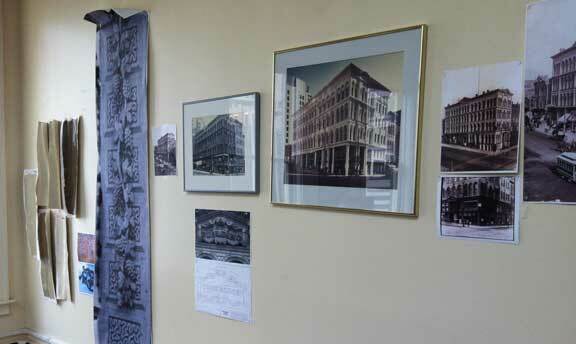 A collection of historical photos of the Iron Block Building, paint swatches for the exterior, and other details. We worked through many different design options and revisions until we found the best solution. One of the illustrations we developed of signage options. 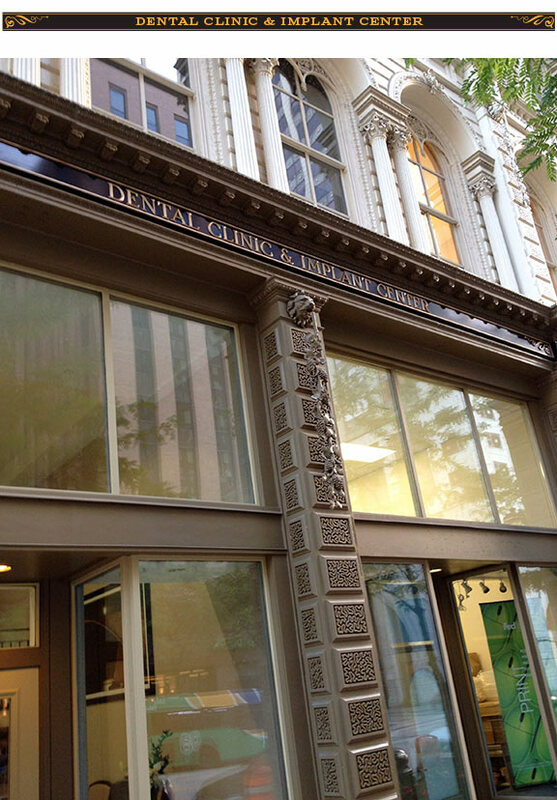 The Dental Associates Iron Block Building Grand Opening Celebration was August 18, 2014. After much anticipation, I finally got to see the finished result. The renovation was just gorgeous, and it was so neat to see the building adorned with our signage designs in real life, versus my computer screen. Enjoy! 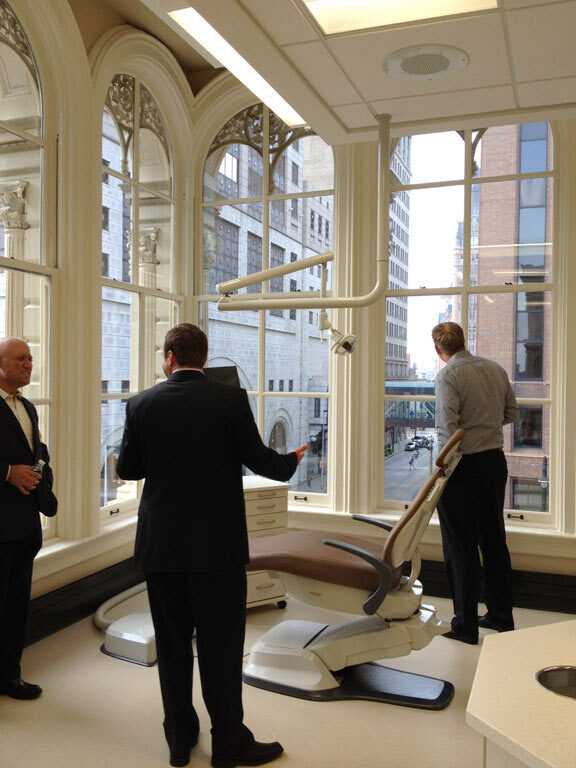 Touring the Dental Associates Clinic – Wow, what a view!